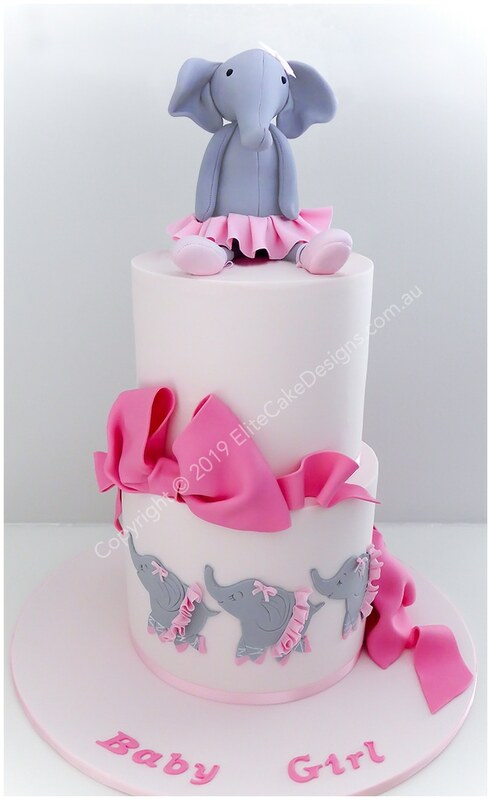 Baby Shower cake design featuring a fully hand sugar-crafted figurine of Dancing Darcey Elephant. Copyright © 2006-2019 Elite Cake Designs. All rights reserved.